Are you ready for celebrating Christmas and New Year 2016? Oh yeah, I know. So you are celebrating this Christmas with your family; what about your blog or website? Don’t give me a lame answer. If you are passionate about your blog then you must prepare your WordPress blog for Christmas. There are number of Christmas plugins which can help you in decorating your blog. What all you have to need is your wish and 60 minutes? 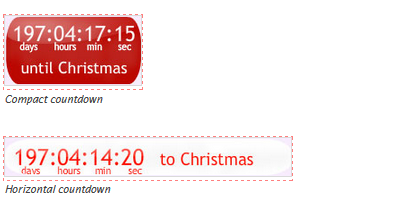 I hope these widgets would help you in decorating your blog so that you can make your blog a XMAS special blog. Though Santa comes in the season of snow fall you can add snow fall in your blog. This Snow Storm plugin is completely free. Snow Storm shows white snow falling from the top-left side down to the bottom-right side of your WordPress blog, which creates a stormy effect. Though the celebration is big, you can’t ignore your desktop or smartphone screen’s look and feel. Below are some high quality Beautiful Christmas Wallpapers to download. Download them & use them now, to feel the purity and happiness of this festive month.